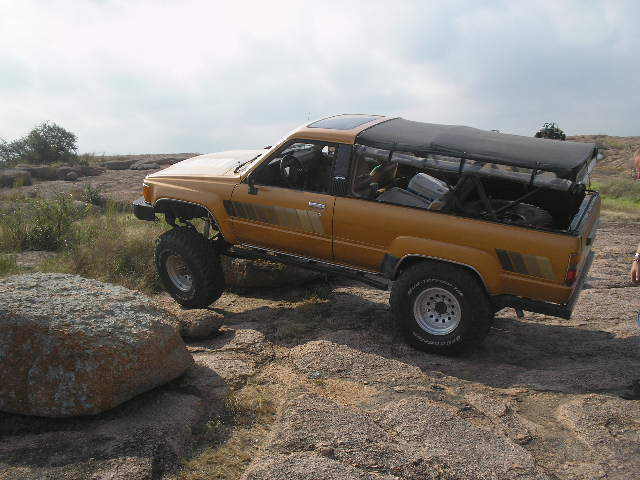 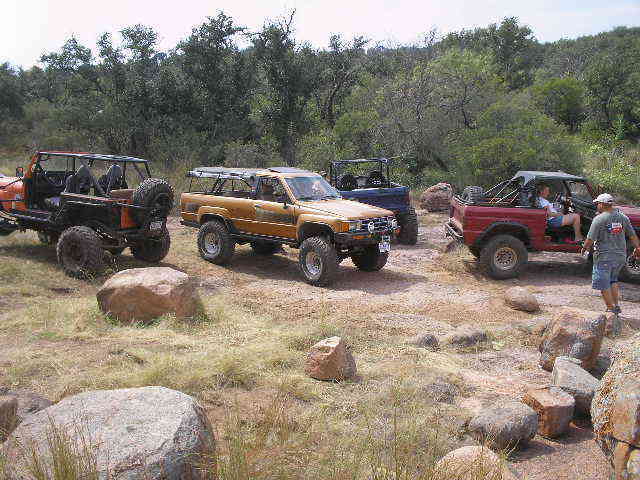 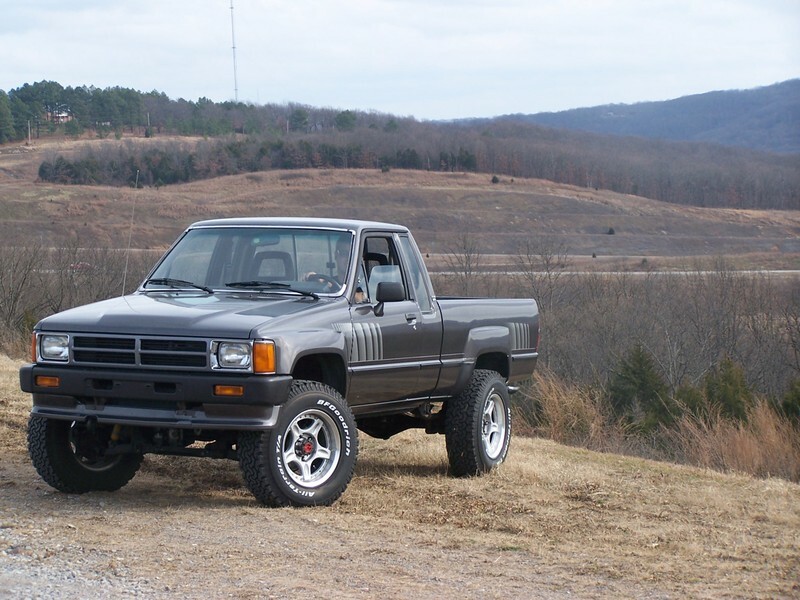 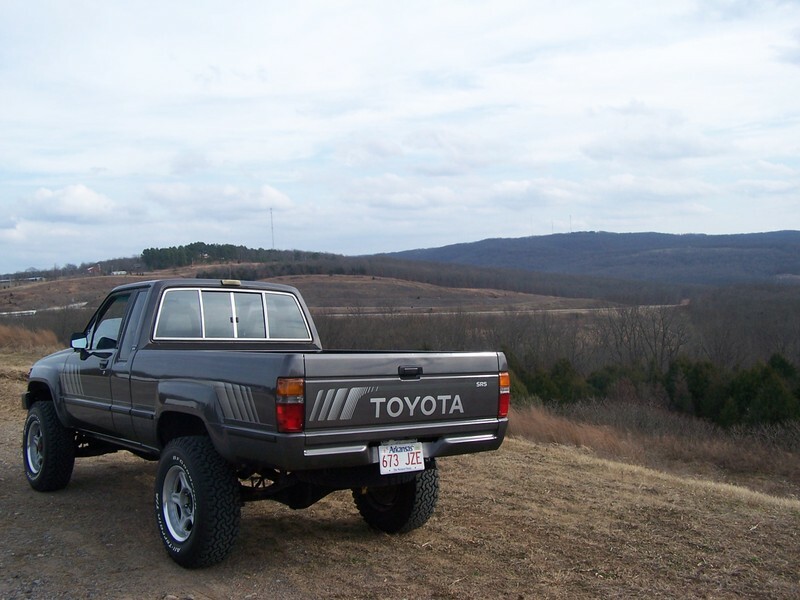 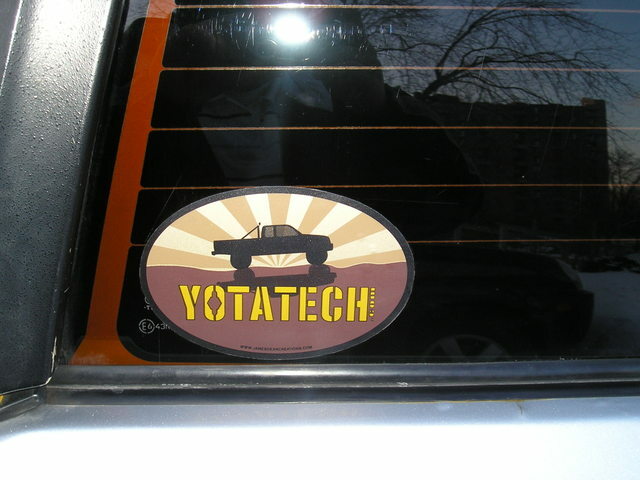 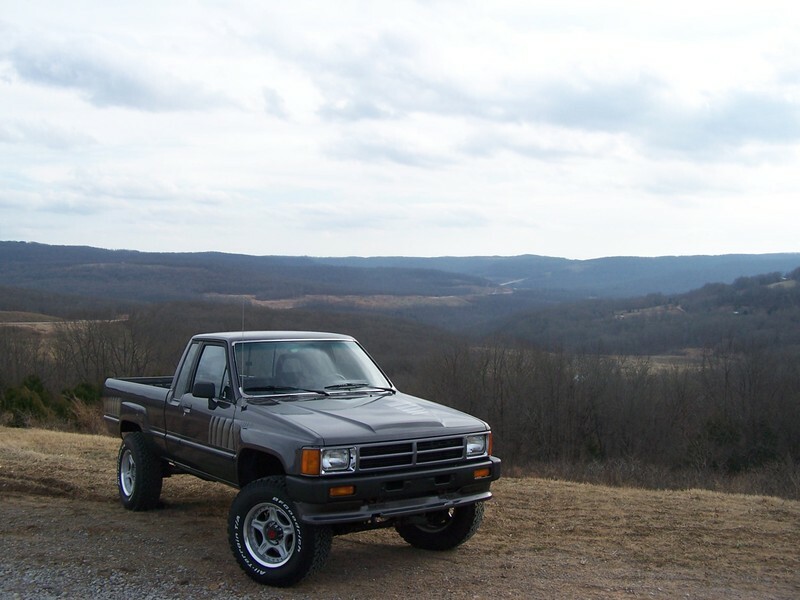 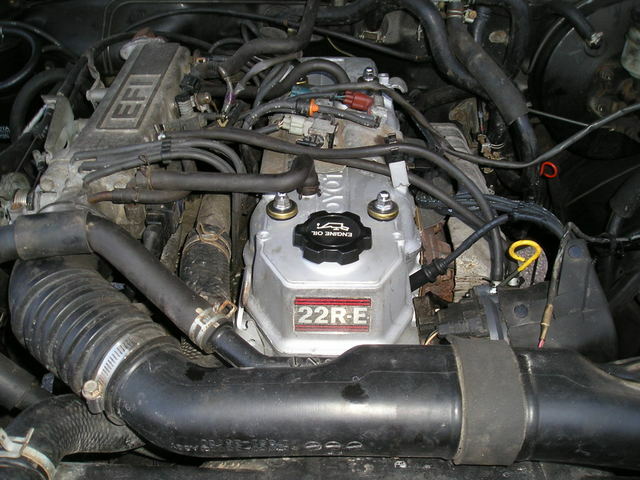 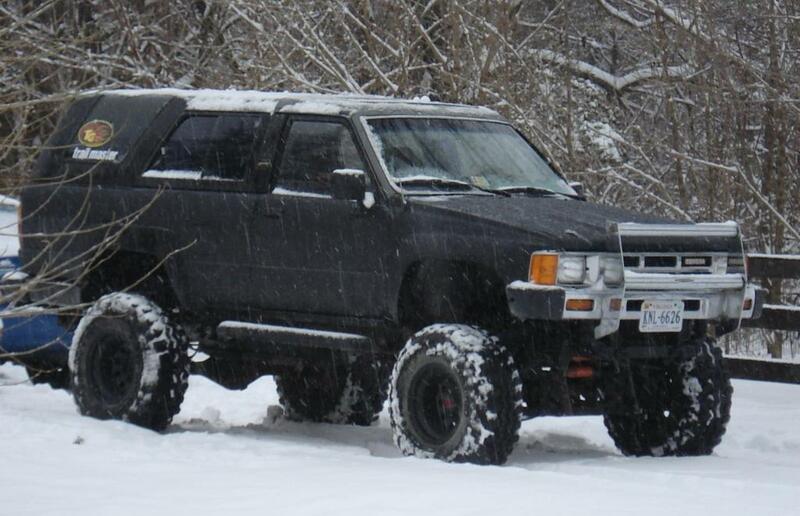 1986 4Runner, 4in trailmaster susp, 3in body, 33in tsl swampers, posi front, full spool rear, 4:88 gear's, smittybuilt bumper & side bar's, etc..
87 4wd SR5 ext. 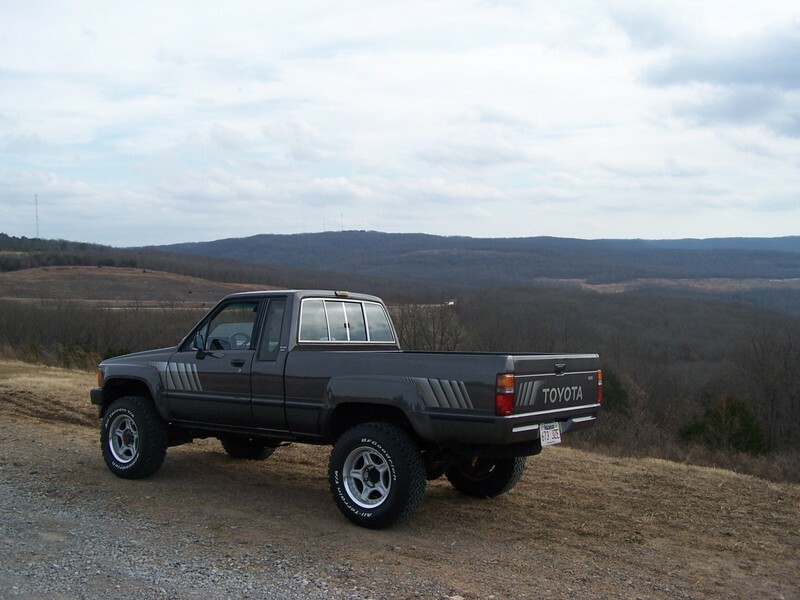 cab: Bilstein shocks, 16x8 Volk Racing wheels on 245 75 16's, Hilux Surf Recaro's, momo steering wheel, Trd shift knob, Goodridge S.S. brake lines. 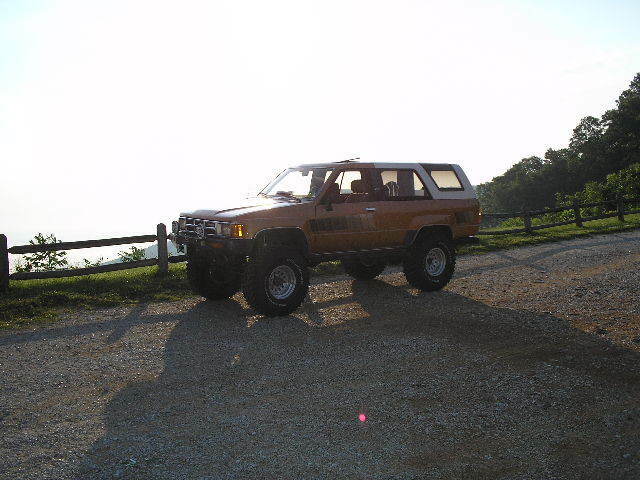 New paint and new factory SR5 stripes!! 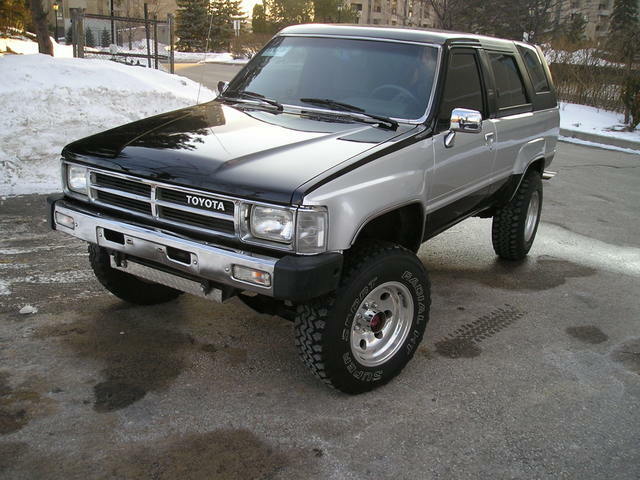 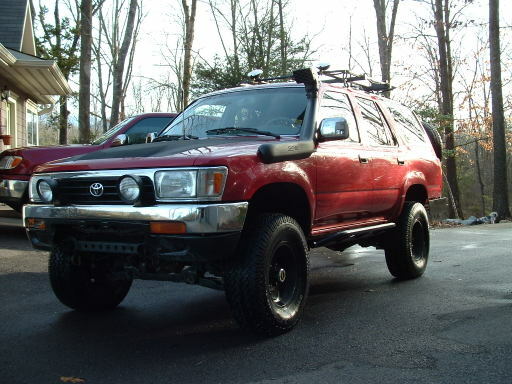 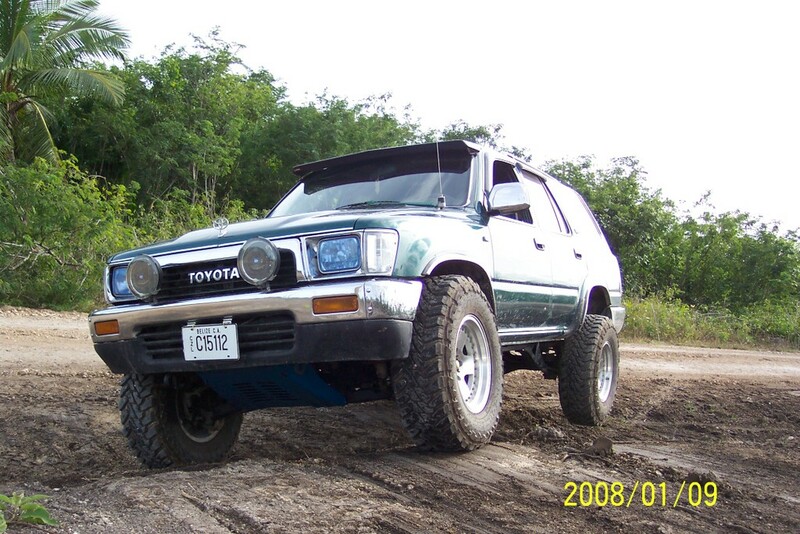 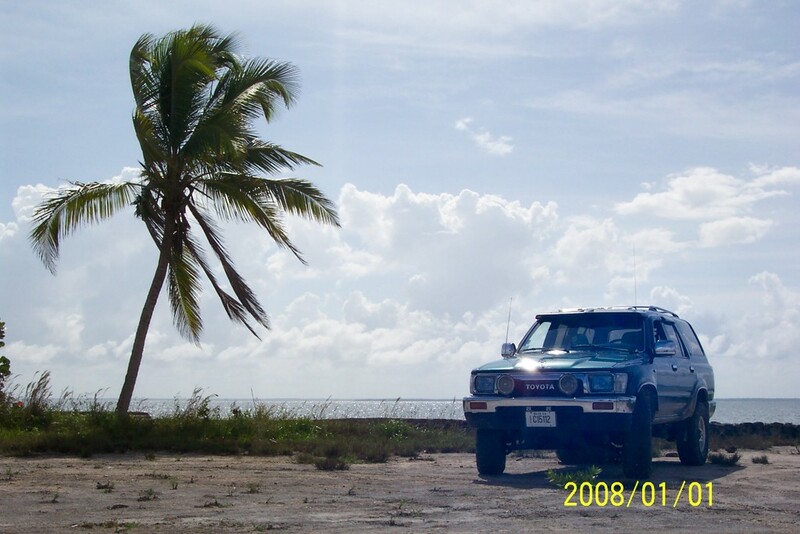 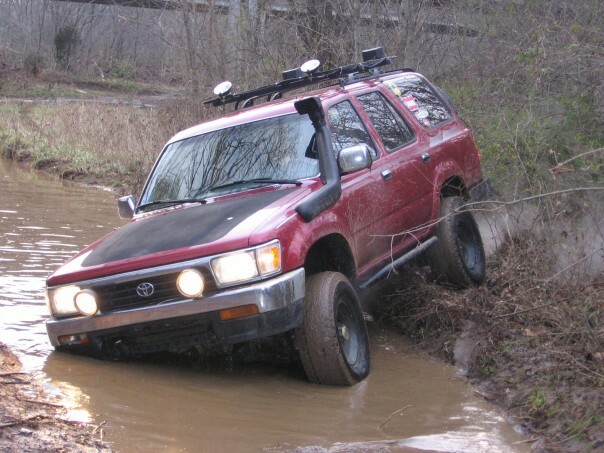 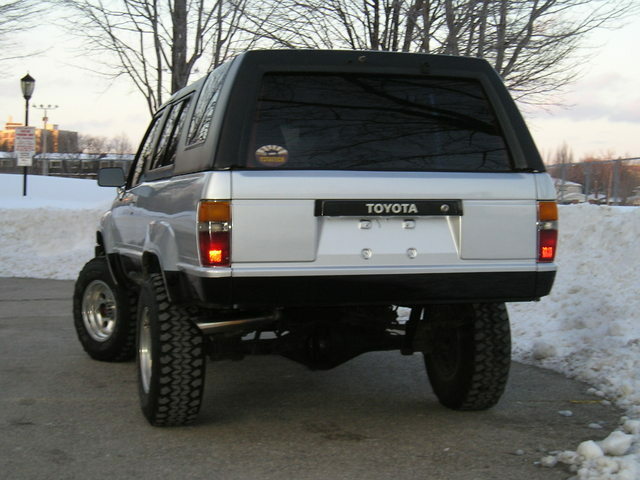 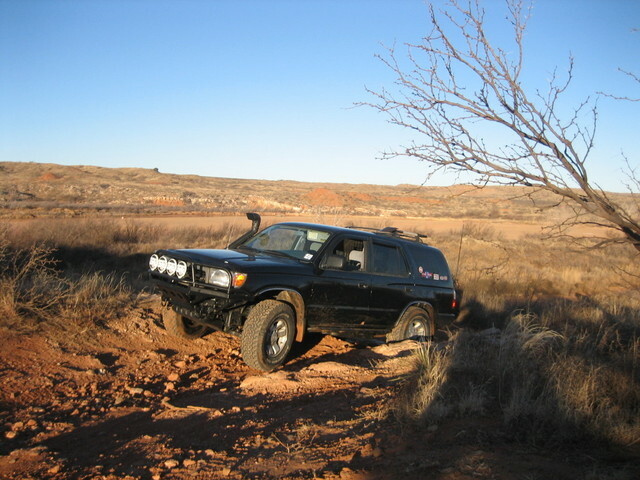 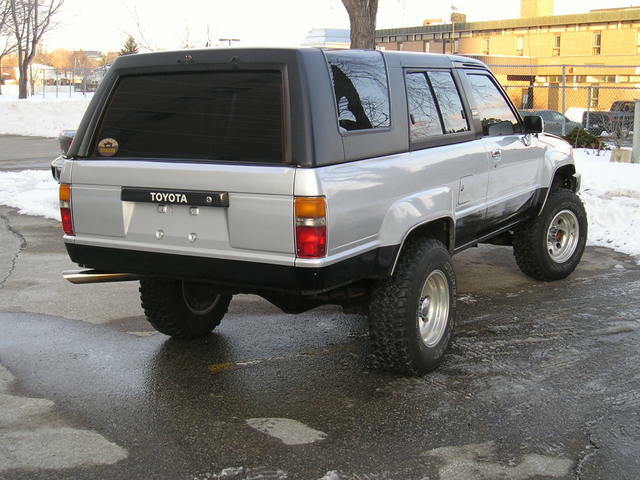 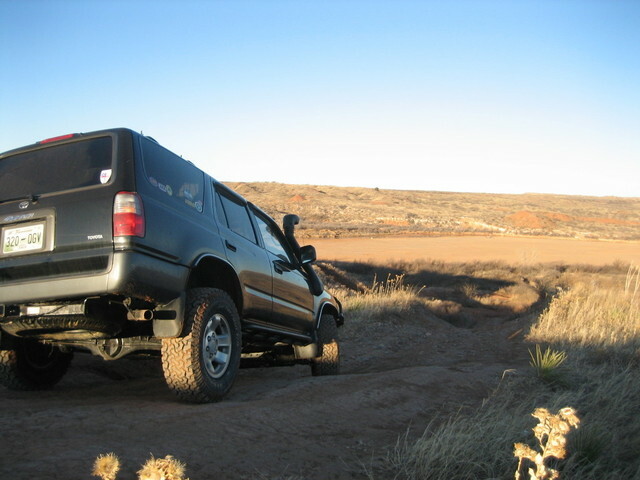 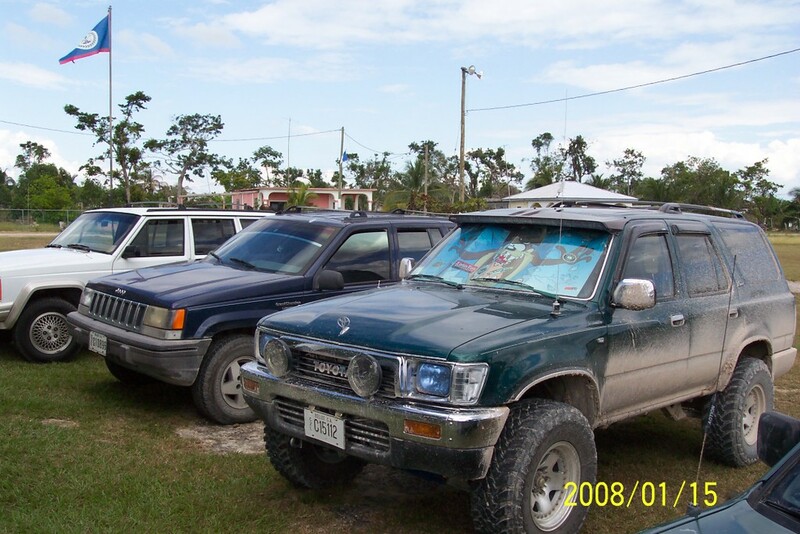 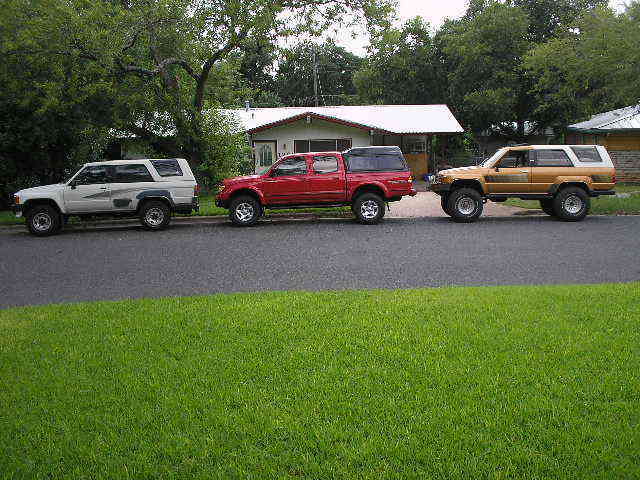 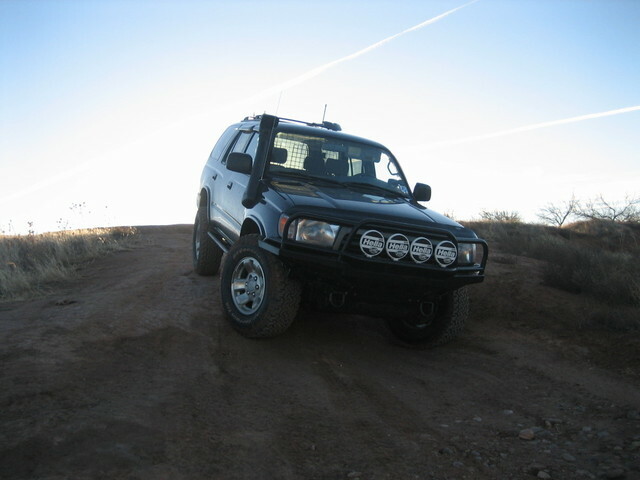 1993 4Runner, V6, auto, 4.56's, custom rear bumper/tire carrier, Marlin's sliders, All Pro's rear spacers, Warn manual hubs, Surco rack (slightly customized), lights, on 31's, Lockright out back, Safari Snorkel.